Leaderquip has made use of the Automechanika Johannesburg event to show off the Hunter complete 6 Point Quick Check System, a first in SA. Leaderquip explains that the system can identify repair opportunities in an amazing 2:58 minutes and focuses on checking stopping, emissions, battery health, tyre pressure, tyre health and wheel alignment. Following the checking process, a comprehensive easy-to-understand printout with colour-coded graphics is generated to use when discussing the diagnosis with the customer. A separate print-out with more technical details is generated for the technician’s use. 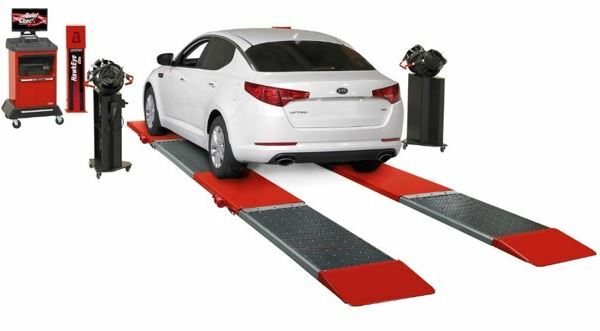 Leaderquip is quick to point out that the Quick Check System with its 6 Point Check facility generates multiple opportunities for an enterprising business entrepreneur to dramatically increase sales of service and wheel alignments, as well as tyres, batteries and brake components. It also offers dozens of installation possibilities, with configurations for every individual shop. Visit the stand 7E020 in Hall 7 for a live demonstration.